Super soft and warm feeling:High pile microfiber carpet surface, soft and comfortable warming feeling to protect your feet from the cold floor, low clearance, kids and pets friendly. NON-Slip Feature:Comes with build in anti-slip doormat pad mat with rubber back for maximum grip to prevent you to slip. Special Design:it is the home carpet relatively affordable, relatively high grade products. To reflect the different styles of modern furniture with teapot print, in order to achieve the perfect taste. 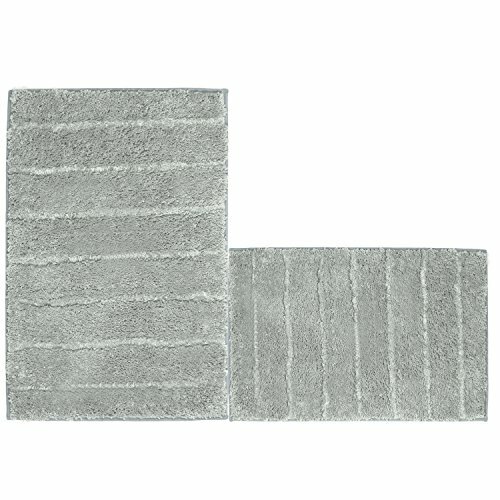 Size: 17.7x25.6"+17.7x47.2" alleviate foot pressure and relieve foot fatigue,very durable for everyday use without changing the shape,your feet deserve such good door mat floor mat bath mat shower rugs.